That’s right, you heard it here first, I’ve gathered tips and advice from twenty one of the North East’s finest wedding suppliers to help you plan, book, meet, allocate, visit, arrange all of your wedding needs, easily and stress free, to help you make the most of your wedding day! I reached out to two lush venues which I love photographing at for their tips for couples, both when looking for a venue, and on the wedding day itself. “A practical tip from us…make sure your guests can get home! Nothing puts a dampener on the day quite like having to wait 2 and a half or 3 hours outside for a taxi when the venue closes! Here at Wharfedale Grange we’ve a private hire firm just 5 minutes away plus in the opposite direction, Harrogate is just 10 minutes away. “When looking for a venue check what is included within your venue hire and food costs. If you are not having a ‘set package, then ask for a fully itemised quote detailing each cost per person. Please do not accept one overall price as if your numbers change, you will want to know exactly how it will affect you financially. Secondly spend time together!! It is your wedding day and we really want you to enjoy it together. This is why we always suggest you walk back down the aisle, into the Jury Room and have your drinks and canapes alone, whilst swapping stories of what happened the night before and whilst getting ready. Hamilton and Lewis are a North East based Jewellery company I’ve worked with before. They can supply the diamonds and bands separately, and with no over heads like shops, can give you the best price! You can literally find a ring you love, and they can source it for you together, or get you an even bigger Rock for your money! The amazing Gill from Flowerhouse in Stockton gave me this very wise piece of advice when it comes to both wedding suppliers and Flowers. “My biggest piece of advice is if you know what suppliers you want to use, book them ASAP. Don’t be afraid of letting the suppliers know your budget and they can advise how spend it wisely. I spoke to the wonderful Debbie Gillespie of Debbie Gillespie Cake Design – Bespoke Wedding Cake Designer for some advice for you guys, she definitely knows what she its talking about when it comes to both advice and cakes! “Once you’ve picked your venue and you’ve set a date, it’s time to start planning your styling and decor! When having your show round at the venue, make a note of the colours and furnishings used in the room. Take pictures of the space and height of the ceilings so you can visualise the flow and get a good understanding of the key areas you’d like to focus on. High ceilings showcase tall centrepieces at their finest whilst patterned carpets may look better teamed with a more neutral colour palette. When selecting colours, use a palette that best compliments the room but also works with the season in which you’ll be married. Working with seasonal items, particularly when it comes to flowers, will make your styling much more cost effective. My best mate Katy from “What Katy Did Next” (She carries a bag around with my name on it) gave this amazing advice for you couples. She makes the most beautiful jewellery and accessories by hand, and I think you’ll be blown away when you check them out! “Don’t be afraid to go Bespoke – if there is something you want, ask for it! A lot of my Brides love my designs but perhaps a tweak here and there would make it perfect for them, some Brides love my style but they have a completely crazy idea and are nervous to ask because of the price tag that comes with ‘Bespoke’! This isn’t always the case – I love taking on Bespoke clients and the prices often dont differ drastically to those of my existing pieces, I’m happy to help and dying to make your wedding dream complete. And it’s not just me, there are tons of suppliers that love an individual couple and are happy to help you where they can. If you don’t ask, you don’t get! Gray Starling offer such beautiful stationary, from place settings to invitations, you definitely need to take a look at their beautiful work. She also has the perfect tip for making the most of your wedding day. I always know instantly when I walk into a wedding if its Coco Luminaire lighting the place up. Their lights are not only always awesome, they have a HUGE range of cool slogans and fancy neon signs to meet your needs. I also asked what a good tip for a bride and groom would be to have a stress free day. Well, when it comes to wedding photography I obviously went to one of the bestest coolest gingers in the game. Me! I think when it comes to suppliers, you want someone who can deliver what you want, but mainly that you get on with. You want to be able to discuss your plans and for them to love them and be able to meet your expectations. When it comes to photos on your wedding day, just chill out, we got this. If you’ve hired a photographer with plenty of experience theres nothing to worry about. You’ve obviously liked their pictures and they will know what they are doing, so don’t worry about sending them a list of “shots” that you want them to get, just let them do their thing, thats the reason you hired them any way! Again make sure you are hiring someone you can get on with and can get in touch with any time if you have burning questions or ideas. I’m regularly replying to emails and texts from couples at 11pm (you know who you are) discussing their wedding which is still months away and I love it, I love people feel comfortable enough to do that with me! I worked with two great videographers recently, both of them were great guys, and really knew their art so I asked both of them for advice. They’re both from different coasts too so you are pretty much well covered for video up North! “Relax and trust your Photographer/Videographer. Allow us to work creatively, we will insure you get the best images possible. There’s lot of Wedding Videographers to choose from now so find a style you like first of all, but also choose someone that won’t intrude on your day. Being able to work discreetly is a big thing for me. My style of shooting is documentary style; I aim to capture things naturally. I don’t like to set things up or do anything that will take you away from enjoying your day. I believe the best moments are caught as they happen rather than if they’re staged and if i’m doing my job right you shouldn’t really know I’m there. I see many dapper lads at weddings, and Bakers Tailoring is a name I hear on the regular (we even did a photoshoot together where my picture of one of their suits was the Magazines FRONT COVER). They certainly know their craft, and when it comes to style they won’t fail to make you looks dressed to impress. 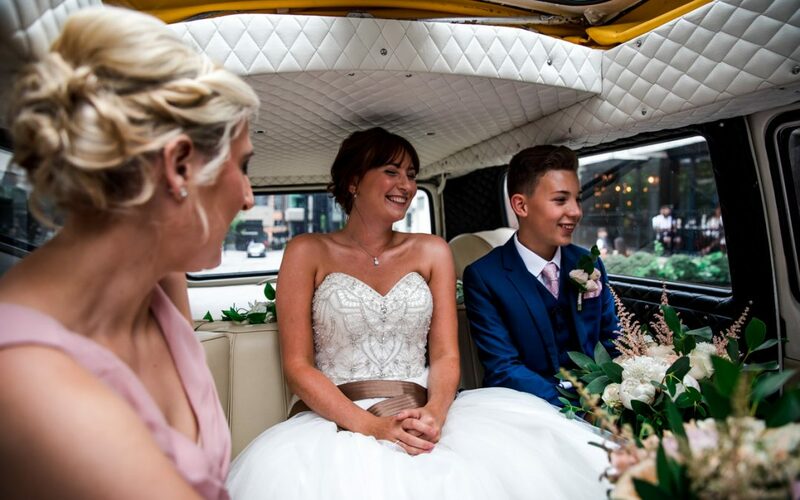 Paul – “Grooms need to listen to opinion of the bride, often the suit choice isn’t just about bridesmaid colour, but the whole wedding theme which generally grooms no nothing about. I reached out to the wonderful Bex of Bex Brides for some advice on choosing the right suppliers and enjoying your day. I know I’ve had numerous brides from Bex who have all felt and looked amazing in their dresses from Bex. Bex: “Decide what are the most important things to you for your wedding, stick to it. Do not be pressed by others to either compromise or add elements that are not important to you. Have a day surrounded by those who you love and who love you! Most of a don’t sweat the small stuff. Just enjoy every moment from engagement to the last dance! “Look after your skin in the build up to your wedding, taking time to relax, remembering that too much stress will show through in your skin Leave at least a week between a facial and your wedding day, giving your skin time to settle Invest some time in your brows by either committing to grow them out if there over plucked and having then professionally shaped. This really can redefine your face! . For touch ups, ask an attendant to keep a small mirror, lipstick and blotting paper in their purse. Blotting paper will absorb excess oil that causes shine and is a better alternative to reapplying more powder as over the day this can become cakey. “I’m a makeup artist but really my business is all about customer service, with a real emphasis on the customer. Communication and reliability and the confidence my customers gain from this are invaluable. For a bride that is not confident with makeup but knows she wants to look her most polished and radiant having their makeup professionally applied will be invaluable. Even if she is more than makeup savvy, bridal makeup has to fill a vast criteria such as longevity, photogenic and being lighting friendly. There’s a such a fine balance between looking fantastic in both photographs and real life. A bride will pick up lots of tips and tricks about products, while learning about colours and dispelling any makeup myths! Finally, nerves! Even as a makeup artist I chose to have a trusted colleague perform my own wedding day makeup, emotions are running high and hands are shaking! A good makeup artist will bring a sense of calm to the preparations. I recently met the girls from Mirror Mirror when we done a Styled Photo Shoot at Crook Hall and Gardens in Durham. They were amazing! You’ll be able to see some of the pictures in a blog post soon! Lauren: “Take a moment to stop for a minute during your day….have a good look around and enjoy that very moment that all your hard work and planning has paid off and everyone is there for you to celebrate your special day. “My main advice to couples looking for transport is never book from a photograph. You really need to see the car in person so you don’t get any nasty surprises on your big day. Also try not to be focused to much on price. Sometimes for the sake of £50 you could have had a car in better condition with a more professional service. I can personally vouch for Baba Ganoush that their food is delicious, because they kept bringing me little Canapes over recently and went right up in my good books! Ashley – “Planning your big day is so exciting but can also become quite consuming! Make time for each other during the planning process. Have a date night and a wedding planning night… Wedding Wednesdays! Gareth Beddard – Gareth Beddard and Co.
“Relax and enjoy every moment of the day as it will fly past! Take it all in your stride! Last Anthem are an amazing band to see in person, whether thats at a wedding, or at one of their many gigs, you won’t fail to be amazed. Especially if they are getting the bride up on the chair dancing whilst playing their guitars on top of tables all over the room. If you’re looking for a band Last Anthem say the main thing you want to be looking for when booking is a professional service, a great attitude, lots of experience and a willingness to advise and go the extra mile. Makes sense right!? Gary – “Don’t stress about who to invite during the day. Lets be honest people just want the evening entertainment. Plus evening guests are cheaper! I’ve seen Andy Larmouth in action a few times, and he blows me away each time. (Within the first minute of meeting him he pulled the card I was thinking of out of a pack). He has given an amazing piece of advice for couples to be happy on their wedding day. Andy also has some imperative advice for when people are looking to book a magician and finding the right one for them. If you’d love a brochure sending to your inbox, fill in the form below!